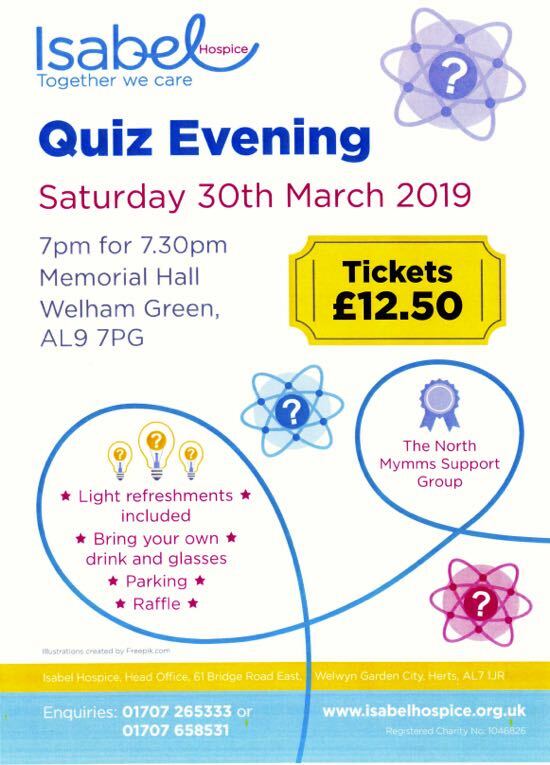 The North Mymms Memorial Hall is staging another of its popular quiz evenings on Saturday 30 March. Doors open at 7pm for a 7.30pm start. The cost is £12.50 a head which includes light refreshments. Participants are invited to bring their own beer, wine, and glasses. Prizes are a bottle of wine for each member of the winning table – also a chocolate Easter egg for each member of the last table. Tables are limited to a maximum of eight people per team. 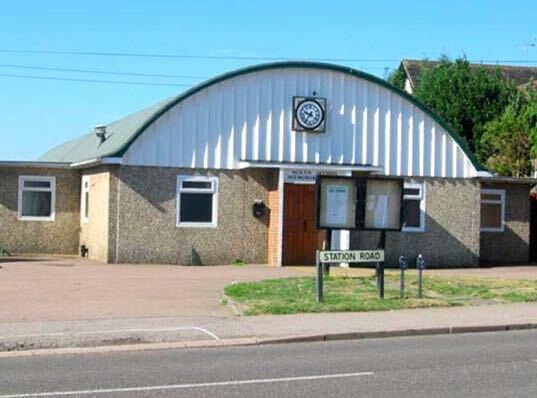 Tickets must be booked in advance by calling either 01707-658531 or 01707-265333. The proceeds will go to the Isabel Hospice.